For nearly a decade, the Texas parks department has hoped to turn a 4,400-acre swath of pristine forest in North Texas into what some hope could be the "metroplex's playground." About 80 miles west of downtown Fort Worth, the already-named Palo Pinto Mountains State Park — with a scenic ridge overlooking a lake and more-than-ample space for camping — promises to be a huge recreational draw. But the Texas Parks and Wildlife Department has struggled to secure funding from the state Legislature to install the infrastructure that would make the park fit for public use. As park visitation skyrockets statewide, Palo Pinto is just one victim of what parks advocates say is a chronically underfunded state parks department that has struggled not only to develop new natural areas but also to maintain existing ones. That trend could change soon, however. State Sen. Lois Kolkhorst, R-Brenham, and Rep John P. Cyrier, R-Lockhart, have filed legislation that would ensure that the state parks department always gets the maximum amount of money it is authorized to receive from a tax on the sale of sporting goods to maintain parks and build new ones — but only if voters approve it. In 1993, state lawmakers passed legislation allowing up to 94 percent of the Sporting Goods Sales Tax to go to parks, with the other 6 percent earmarked for the Texas Historical Commission, which maintains the state's 22 historic sites. But over the next two decades, they allocated just 40 percent of the tax to the parks system. Kolkhorst and Cyrier's legislation aims to amend the Texas Constitution to ensure that the state parks department and historical commission always receive the entirety of sporting goods tax collections. If passed by the Legislature — joint resolutions require approval from two-thirds of both the House and Senate — the proposed amendment would be placed on the November general election ballot. 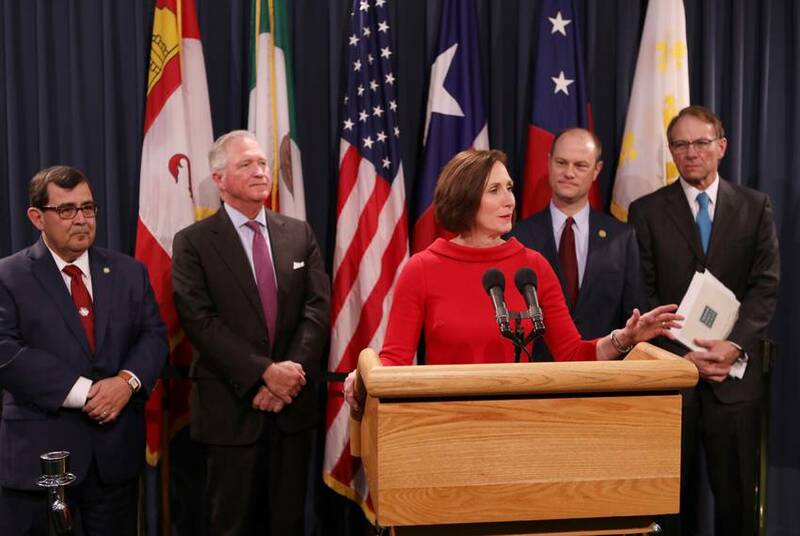 "We want to ensure that every Texan can take advantage of our state’s great outdoors, and the state has a responsibility to provide for our state parks and historic sites," Kolkhorst said at a news conference on Wednesday. "This is truth in taxation, and it gives these agencies the ability to plan." From 1993 to 2017, Texas collected nearly $2.5 billion in revenue from the sporting goods sales tax, according to Kolkhorst’s office. But lawmakers have allocated only about $1 billion of that to parks. The first time they allocated the maximum 94 percent was in 2015, followed by an 89-percent allocation in 2017 — but with a tight-fisted Legislature, parks advocates say funding in perpetuity is never guaranteed. Recent success in securing more of the sales tax for parks has come amid a strong push by parks advocates like George Bristol, who founded the Texas Coalition for Conservation. Since the passage of the 1993 legislation, Bristol said it's become common for the Legislature to use sporting-good tax dollars to balance the state budget — a constitutional requirement — or for other programs. “It became clear to the collective ‘us’ that we had to go to a constitutional amendment to guarantee the funds go to the parks account,” said Bristol, a former chairman of the Texas State Parks Advisory Committee. The committee has been pushing for a constitutional amendment since at least 2014. 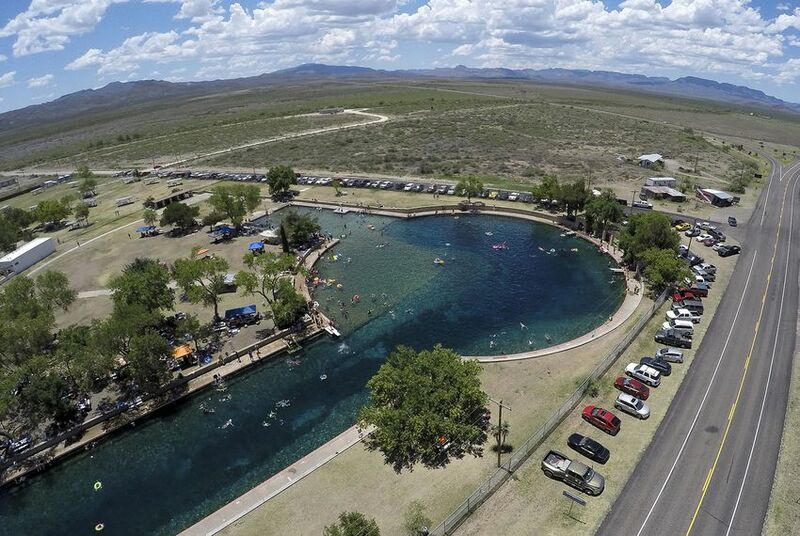 If allocated, the sporting good sales tax — along with entry and use fees charged to state park visitors — is funneled into to the State Parks Account, the second-largest funding source for the Texas Parks and Wildlife Department. The department's primary revenue source is the Game, Fish and Water Safety Account, which is fed by revenue from fishing and hunting permits. Texas state parks have an estimated $781 million in deferred maintenance needs, with increasing strain put on facilities like roads, bridges, bathrooms and trails. Parks officials told the Senate Finance Committee on Wednesday that parks consistently have to close and turn away visitors. In the 2017 fiscal year, nearly 10 million people — a 20 percent increase over 2012 — visited the 95 state parks and historic sites operated by the parks department. A 2014 poll conducted for the Texas Parks and Wildlife Foundation found that 84 percent of Texans surveyed see parks as “essential” to a healthy, active lifestyle and support the protection of natural areas. Joseph Fitzsimons, the head of the Texas Coalition for State Parks, a group of outdoor, environmental and sporting organizations that formed in November to advocate for the constitutional amendment, said he expects state parks to become increasingly popular as the majority of Texas' booming population growth is concentrated in cities. That means there will be more and more urban dwellers looking to escape to natural areas, he said.